concealing a pimple is not an easy task, especially when said pimple is the biggest zit ever. my biggest zit ever tends to be the size of a mountain - albeit a tiny mountain. how to conceal this pimple takes a small amount of effort but follow the steps above and your plumped pore will quickly become banished to exile. gently pat moisturizer over the pimple - these tend to be dry (the irony) so moisturizing will prevent those ugly flakes from showing. get yourself some Laura Mercier Secret Camouflage - the secret to concealing pimples. pat onto zit using your ring finger for delicate application. apply foundation to your entire face - when applying over the biggest zit ever, use a stippling motion rather than rubbing it in. 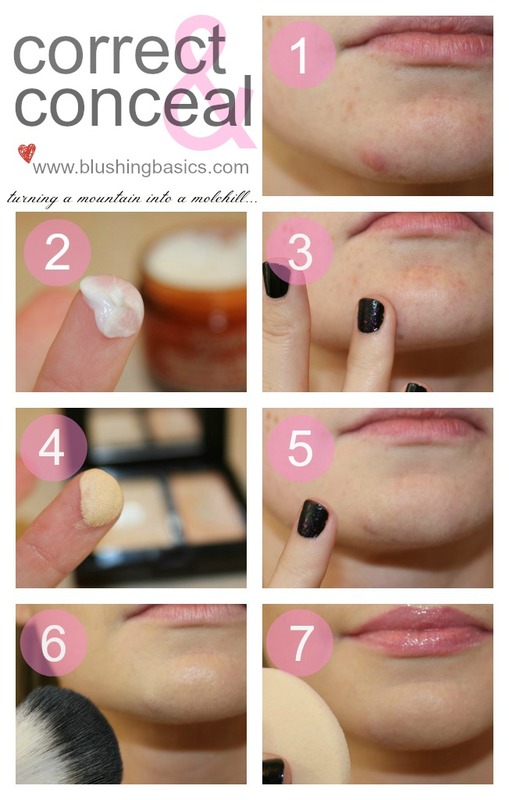 pat a finishing powder over pimple to 'set' concealer. this will help keep the concealer from rubbing off and improve the concealment of your biggest zit ever. in case i haven't hit it home yet your pimple will forever be concealed. Ooooohhh.... thanks a ton for sharing! It's been a nightmare for me these past few weeks, not 1 or 2 but 4 on one side!!! Can't wait for them to disappear! Great post! I've been curious about the Laura Mercier concealer for some time & your post definitely inspired me to check it out next time I'm at a counter! Hi i want to purchase the camoflauge product but not sure if the link directs me to the right product cause the picture above looks like a concealer and link shows like a powder..